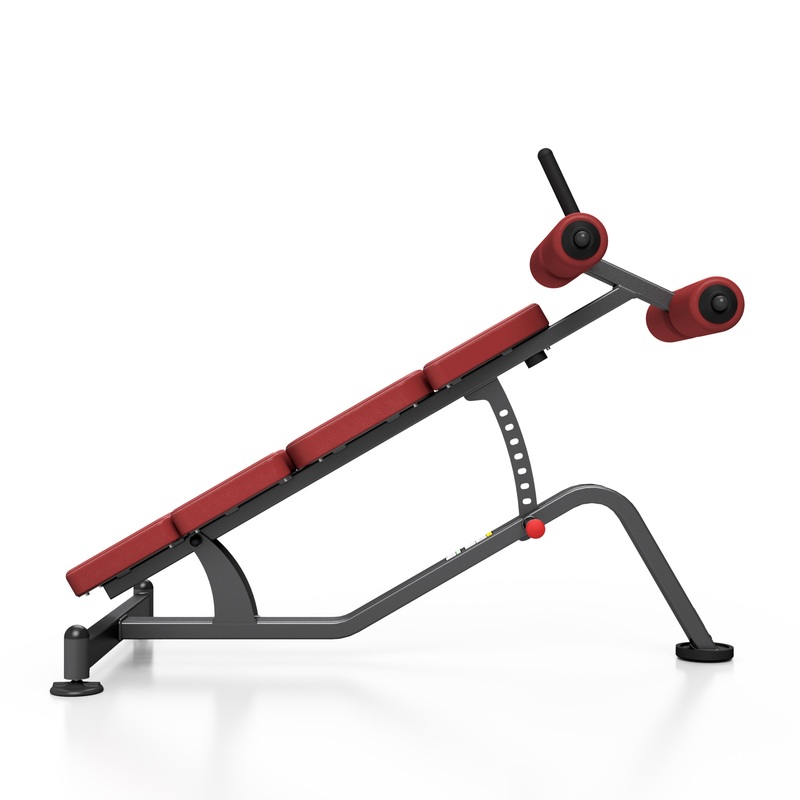 SP-L205 Abdominal Trainer. Maximum load 400 kg! Eight different position to adjust the difficulty of the workout. 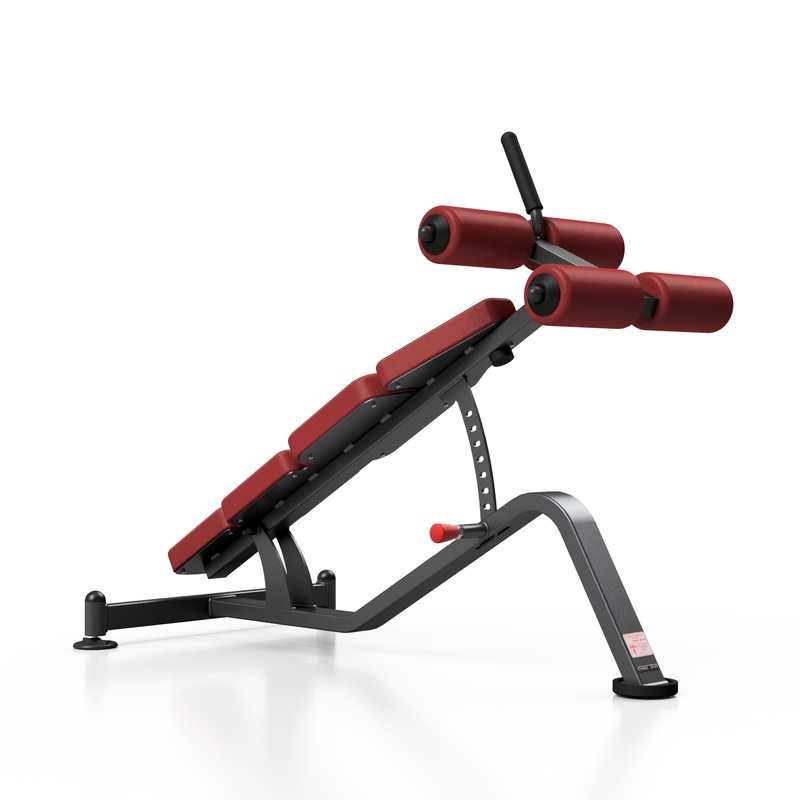 A solid leg locking module for a stable and comfortable training position. All handles and safety pins are identified in red, making use of the device very intuitive even for beginners. 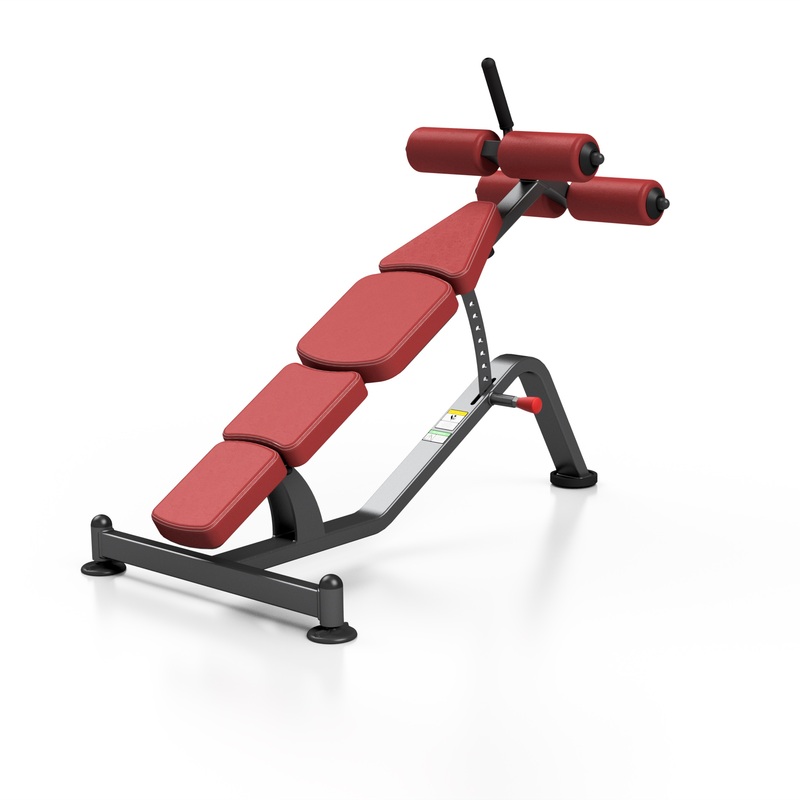 The seat consists of four ergonomic elements for an increased training comfort. We have taken the 'extra mile' to create a perfect product for everyone, even in the smallest details. 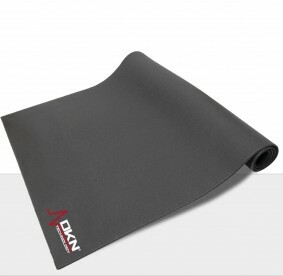 Even the rollers are coated with durable leather. This bench has 8 different trainingpositions. 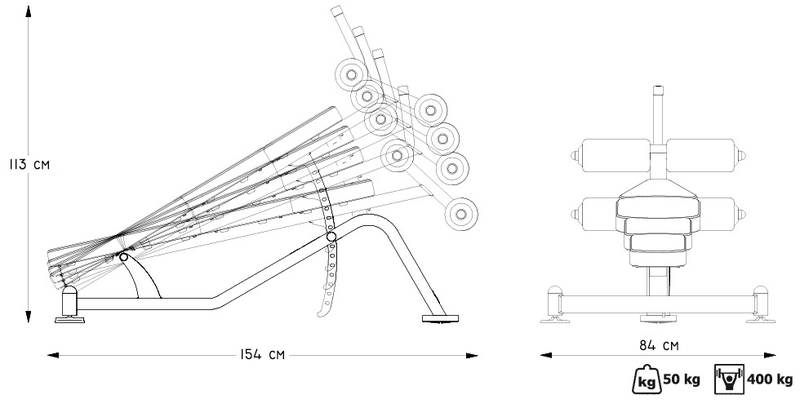 Have a look at the special shape of the latch: 10 mm solid steel! 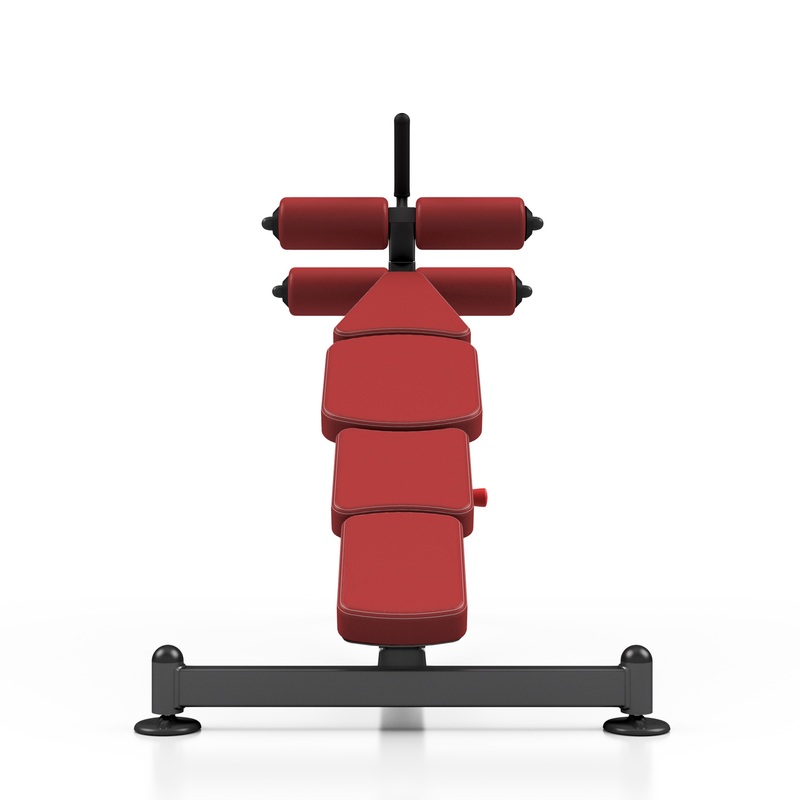 Pull the red lever and select the desired angle.